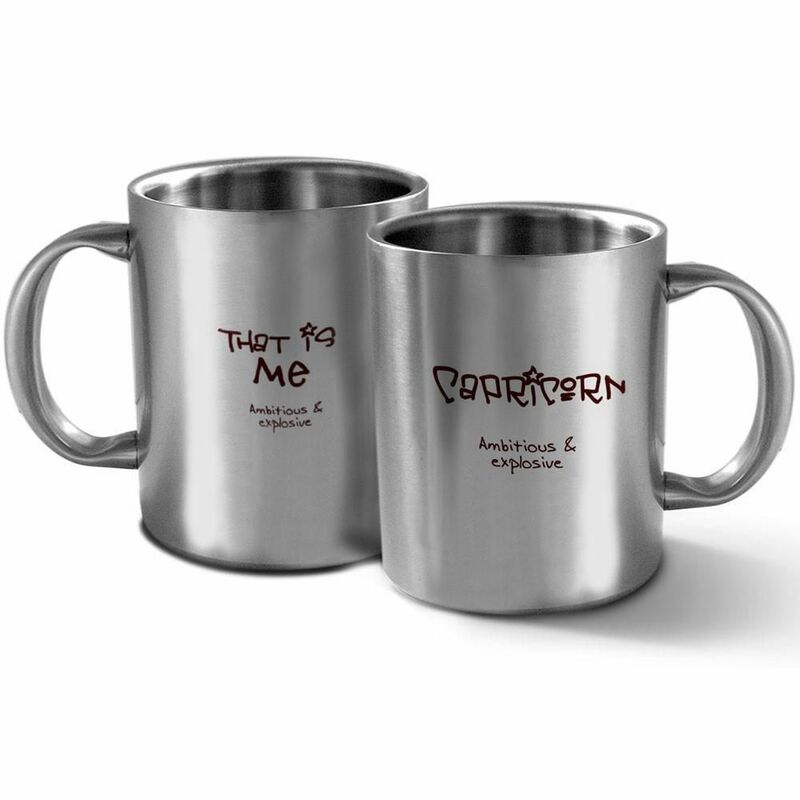 Double Walled Stainless Steel Mug by Brand Hot Muggs with matte brushed finish on inside out. Permanent and Fade-proof design with Zodiac Sign and Personality of the zodiac sign. Mug measures 3.2 inch wide by 3.9 inch tall (approx.). 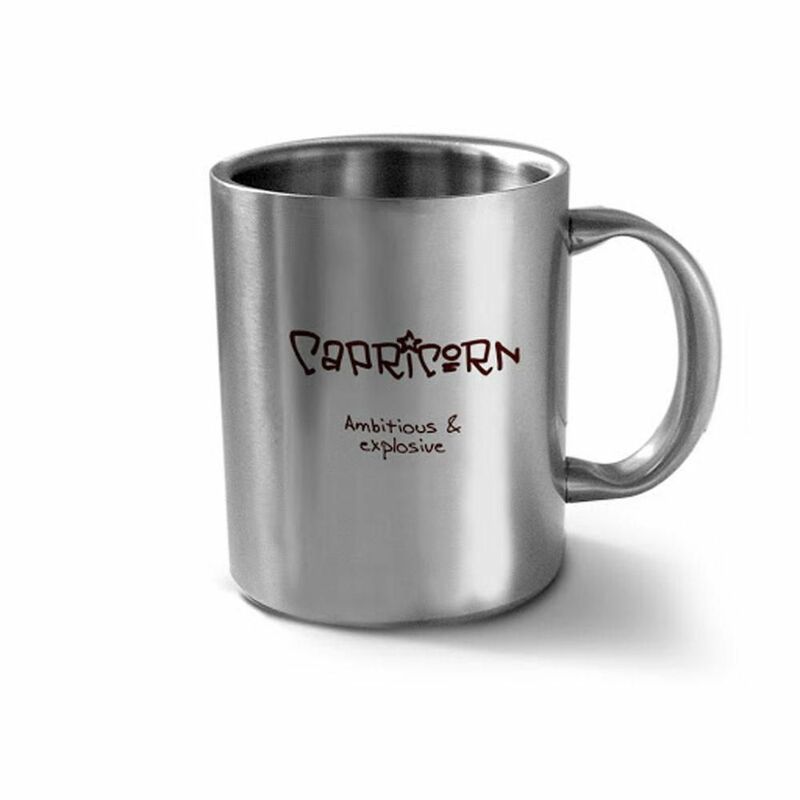 Nice Personality Trait "Ambitious and Explosive - That Is Me" on Mug with your Zodiac Sign. Mug can hold over 12 ounce of your favorite drink. Dishwasher Safe. Non microwaveable. FREE ZODIAC SIGN BOOKLET WITH THE MUG. Lots of trivia information in booklet based on your zodiac sign like: your favorite pick-up line, your favorite colours,your coffee choice and a lot more. Comes in a Hot Muggs box.Ideal as a birthday gift. Can be used as a coffee mug or a mug for any of your favorite beverages. Only One (1) Mug. If you see two mugs in the picture, it is there to show both the sides of the mug.